EDM is really popular now, and that means more and more cool gadgets and devices centered around glowing lights are coming out. That includes clothing, and Inlighten has a line of fiber optic, light up clothing that will absolutely help you stand out at music festivals around the world. 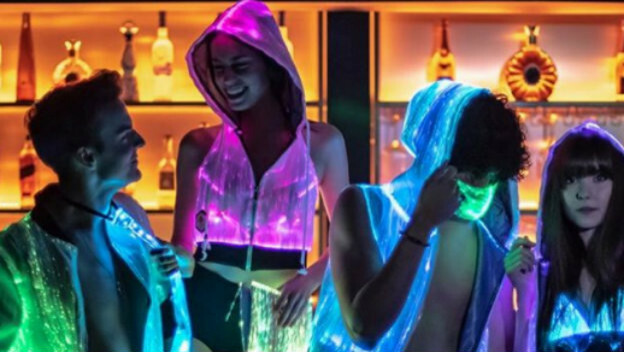 Particular standout products from Inlighten are its fiber optic, light up hoodies and divinity masks, which will give you not only a striking look, but let you have plenty of comfortable fun at EDM shows where things can get sweaty. Not only do these items light up and look great, but they include a full feature set that allow you to customize your look. These features include color control, brightness adjustments, timers, internal and external sound reactions, and different programmable modes that let the colors fade, rotate, or flash. If you want to check these out, you can get a discount and help your favorite crew on internet gaming writers with checkout code CHEATCC10, which gets you 10% off any order.